It’s hard to believe I’ve been blogging for 6 months! In some ways I feel like I have a good understanding of blogging and in other ways I still have so much to learn. In this post, I’ll share my progress to date, lessons learned, tools/resources I’ve used, and my strategy going forward. Pinterest, Facebook, and Instagram continue to be my social media outlets. Pinterest is by far the number 1 driver of traffic to my site and where I dedicate the most time. Social Media (all outlets…even ones I don’t focus on e.g. 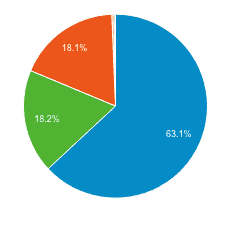 Twitter) drive 86.5% of my traffic. You can see the distribution across social media. 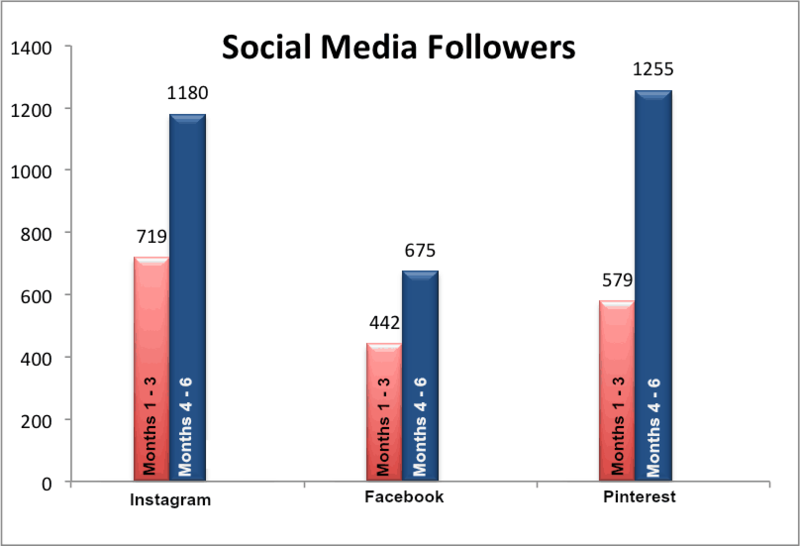 Followers have also continued to increase across Instagram, Facebook, and Pinterest. November, December, and January were big months for my little blog averaging about 5k views per month. I thought the increase would continue and the only way was up! But I was wrong! February things started to slow down and they have continued at that pace thus far in March. Part of the reason for the dip is due to a change in strategy. 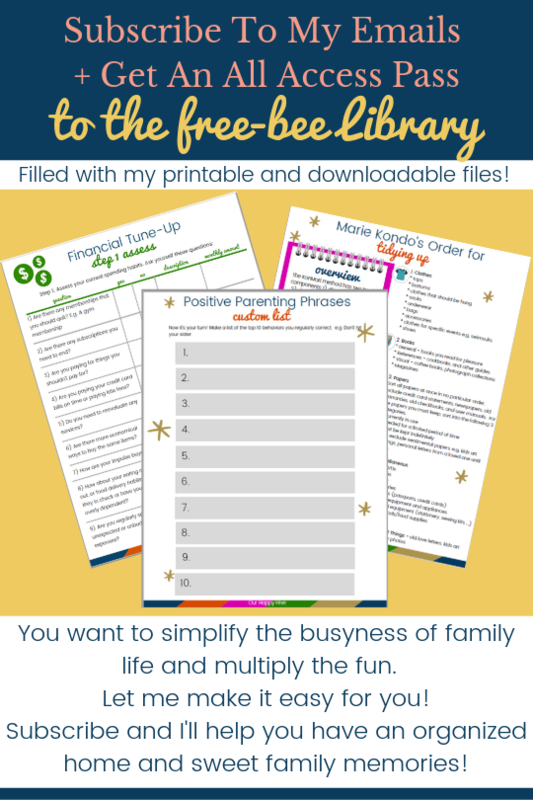 I intentionally slowed down some of my marketing efforts in order to assess where I was with blogging, retool, and refocus. I’ve also heard that there is seasonality in blogging and some natural times of the year when people are on Pinterest more. Lastly, I had a number of seasonal posts that were big hits around Christmas and the beginning of the year. The lack of seasonal traffic also influenced the dip. In the first 6 months, I’ve invested in some training including Building A Framework, which I mention in this post. I’ve also taken the Pinterest Ninja’s course. It’s a really great resource for learning about setting up a Pinterest Business Account, learning about creating Pins, and Pinning Strategies. I also bought The Genius Blogger’s Toolkit from Ultimate Bundles. It’s a compilation of various blogging courses, ebooks, and video modules from very experienced bloggers. They sell the bundle for a hugely discounted price but it’s only sold once a year. When I reflect on the last 6 months, I still don’t have everything figured out, but I am proud of the progress I’ve made. One of the things I am focused on now is finding the right balance with creating content and direct marketing to my audience though my own social channels vs. networking in Facebook groups with other bloggers in order for them to share my content. At this point I spend about 20% of my blogging time developing posts / and pins and 80% of the time networking with other bloggers. Networking is huge in the blogger world, but I feel like I’ve focused too much on networking and not enough on my audience. This is going to change. I’m excited about the way forward. I recently signed up for the Elite Blog Academy (EBA). It’s a program that is only open once a year and you go through the materials with a cohort of other bloggers. 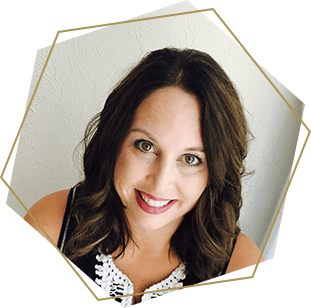 EBA is a step by step guide that teaches everything you needed to know about creating a successful blog, growing a loyal following, and transforming your passion into a business. The workload is pretty heavy for this course, so, I’ll likely shift down to one post per week for a while I retool. I’m sure I’ll do a review once I’ve completed the course, but that likely won’t be until the fall 2018. The first six months of blogging has been full of learning, connecting, and developing. The next six months will be equally full of learning and I’m also sure there will also be some changes…good and exciting changes. I can’t wait to continue the journey with y’all! Thanks for hanging around! Congrats on your first 6 months! You are doing awesome on Pinterest! I love learning insights like this. I wish I could back and start my blog over knowing what I know now. Congrats on 6 months, keep it up!! Great job! I have been blogging over 8 years and the beginning is so tough! Thanks so much Paula- I appreciate it! Yes, Pinterest Ninja is great! Looks like you had a great first 6 months of blogging and learned a lot . Now on to the next 6 months and beyond! Good luck in your adventure. 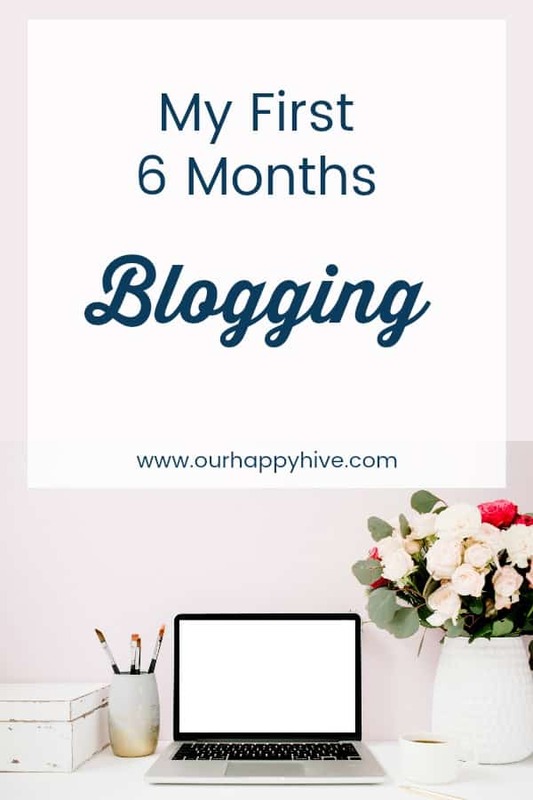 Congratulations on 6 months of blogging! I think that’s awesome that you’ve tracked all of those analytics, definitely great information to have as you continue your blogging journey! Way to go! You’ve done so well in just 6 months! For me, once I got over 50 posts, my traffic started to increase–I think just because I had enough content circulating that my Pinterest strategies could really take hold and grow my audience. Good luck with the next 6 months!